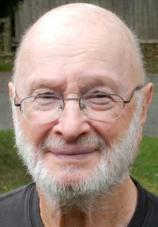 When 16-year-old Jules Feiffer walked into Will Eisner’s office shortly after the end of the Second World War, an aspiring writer and artist hungry for experience, he asked the mastermind behind The Spirit for any job at any price. The morsel was offered, and Eisner bit. Shortly after, when Feiffer asked for a raise, Eisner gave him his own page. The rest is history. Feiffer has done it all. While his eponymous strip chugged along for 42 years in The Village Voice, he won an Academy Award, multiple Obies and Outer Circle awards --- amongst a whole slew of other honors --- and illustrated Norton Juster’s children’s classic, THE PHANTOM TOLLBOOTH. And somehow, he still found time to join Maya Angelou at the dinner party where she decided to write her famous memoir, I KNOW WHY THE CAGED BIRD SINGS. "The tale itself is captivating, and yet the art is somehow even more stunning.... 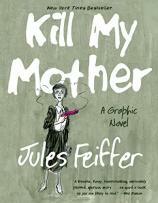 Simply put, KILL MY MOTHER is a masterwork by one of America’s finest cartoonists. Don’t miss it." Now, at 85, one of Eisner’s greatest disciples at last gives the world a graphic novel in the fluid form of the terrific noir KILL MY MOTHER. The work follows five women between two cities across 10 years, and is jam-packed with the juicy touchstones of the genre. Here, rakish gumshoes and dangerous dames entangle in a twisty, thrilling tale drenched in inky atmosphere. A young, fatherless woman caught in frustrating adolescence, Annie Hannigan despises her mother, Elsie, who spends too much of her time slaving for her employer, the washed-up drunk of a detective Neil Hammond. Annie spends as much time as possible making her mother’s life miserable, while still managing to treat her boyfriend, the luckless Artie, even worse. One afternoon, Annie drags Artie into serious trouble, only to be miraculously saved last minute by an incredibly tall, blonde homeless woman, whom Annie briefly adopts. That same day, Elsie’s office is visited by a similarly tall blonde, searching for Patti Hughes, a woman who looks like her identical twin --- though she insists they’re not related. (Here’s a hint: there are at least three tall blondes in this story, and none are what they seem.) Hammond takes the case, and before long, the Hannigans’ lives are thrown into chaos. Ten years pass. Elsie works for Mae Longo, wife of boxer-turned-actor Eddie “The Dancing Master” Longo and the top dog at Pinnacle Pictures. Annie has made a name for herself writing comedy for the radio with her hit show, “Shut Up, Artie!” Artie, meanwhile, is a captain in the army serving in the Pacific Theatre…and he’s soon to get a visit he neither expects nor desires. But what about the other two women --- Patti and Annie’s savior, the homeless blonde? Well, let’s not spoil the surprise. Feiffer’s work twists, turns and jabs like The Dancing Master himself. The tale is clever and evasive, somehow managing to feel lean while crammed with tiny details, references to great works of noir from THE MALTESE FALCON to Chinatown. (The book is dedicated to Raymond Chandler, Dashiell Hammett and James M. Cain, as well as their major cinematic interpreters, John Huston, Howard Hawks and Billy Wilder.) Feiffer’s love for the genre is palpable. The tale itself is captivating, and yet the art is somehow even more stunning. While Feiffer was better known as a writer earlier in his career, his idiosyncratic style has become a trademark, and here it’s in its finest form yet. Feiffer’s characters slink and sprawl across the page in lines equal parts liquid and jagged through murky panels that merit a Miles Davis soundtrack. A few sequences --- a car chase, a boxing match --- are some of the best of their ilk put to paper. Simply put, KILL MY MOTHER is a masterwork by one of America’s finest cartoonists. Don’t miss it.